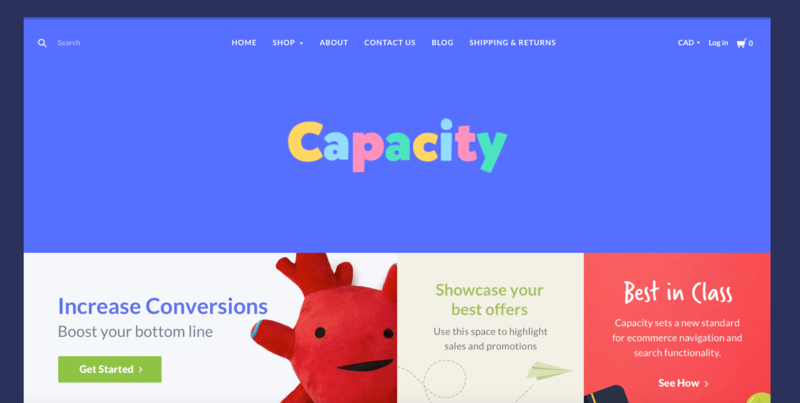 Capacity comes with four unique theme styles that curate the fonts, colors, and general style of your store. Check out our store demos to see the Bright, Clean, Cool & Warm styles in action. Once you're in, select Styles from the sidebar menu and you'll be presented with your four options. Select the one that closest matches your vision for your store, click Save Changes, and you're good to go! Once you've uploaded your theme and selected a style, it's time to make it your own. 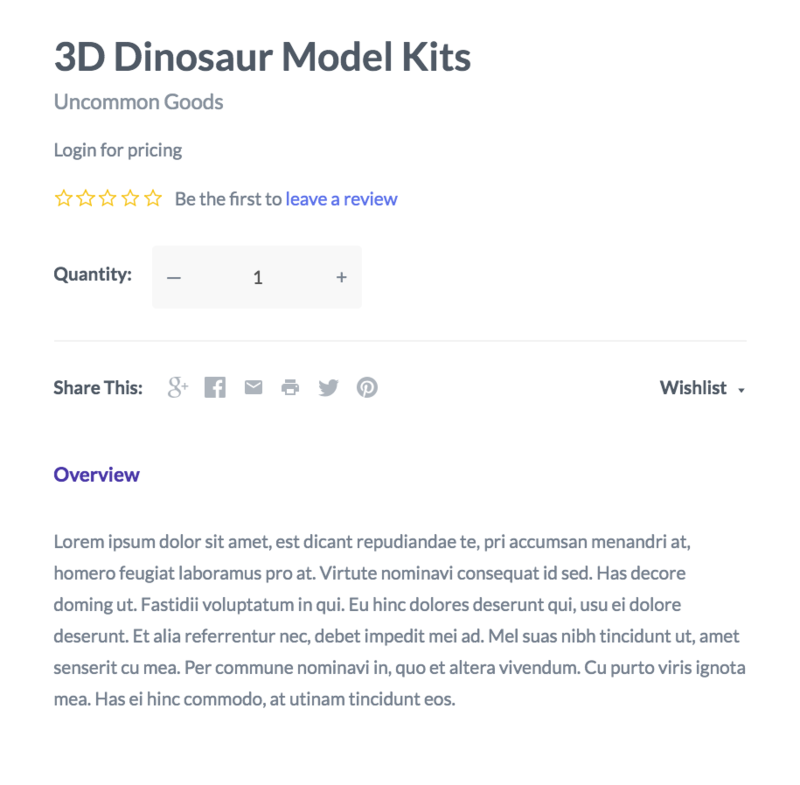 While all of your products, collections, pages and marketing (including the carousel) will be configured from the BigCommerce dashboard, most of the changes you make to the look and feel of your store will happen in the Stencil theme editor. You'll access it by navigating to Storefront Design>My Themes, and then clicking the blue Customize button under Current Theme. You'll notice that the theme editor sidebar menu is divided into a whole bunch of sections: History, Styles, Typography, Colors, Navigation, and more. We'll cover all of them — in more or less the order that you might encounter them — below. All of the entries are time stamped and include the name and version of the theme you were using. This is handy if you ever want to revert the settings on your store back to a previous version. 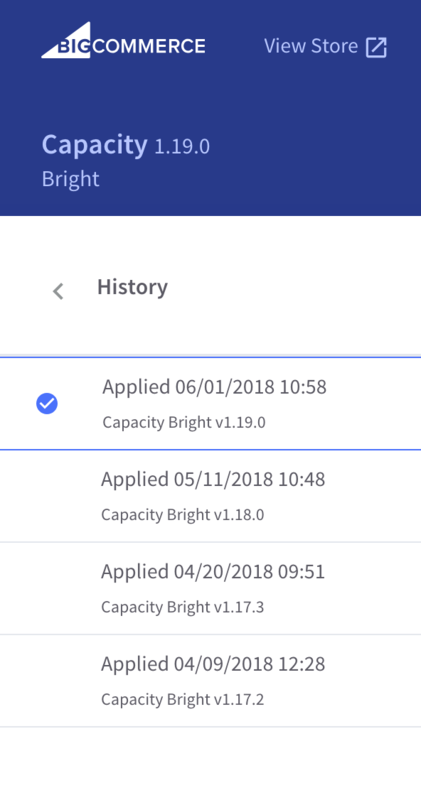 Just select the version you want to use and click the blue Apply Theme button in the bottom right corner. Capacity comes with four unique theme styles that curate the fonts, colors, and general style of your store: Bright, Clean, Cool & Warm. You can preview how they will look in your store by clicking through the options in the sidebar and watching for the change. Note: applying and saving a new style will overwrite your current style settings, however you will not lose any content from your store. It's always a good idea to make a backup copy of your theme before you start making customizations. Capacity comes with a selection of hand-picked fonts and colors for your store. 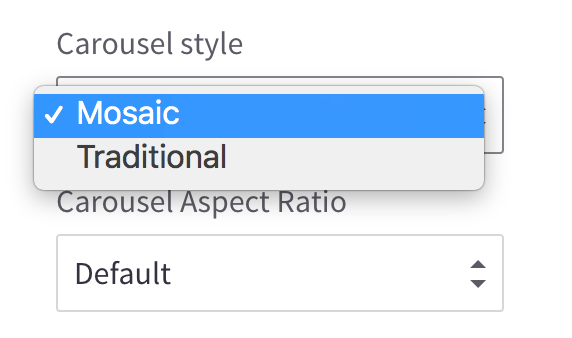 You'll find them under the first two tabs of the theme editor: Typography and Colors. Under Typography, first select your Primary font family and Secondary font family from dropdown list of font. Then, you can assign either of these font families to the following text areas: Main navigation font, Footer navigation font, Price font, Button font, Capitalize navigation font. To customize the Color for the store, look under the Colors menu and simply find the feature or area of your site you want to customize and click the swatch beside it. 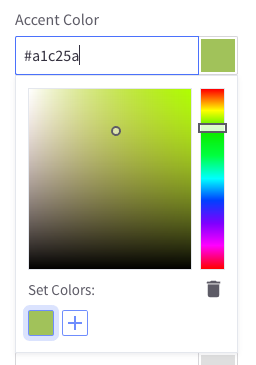 A dropdown color selector will appear, which allows you to adjust and experiment with custom colors. You can also add a hex code as a text input if you wish. This can be helpful for matching colors across your site. The Global Settings section contains a few theme options that are applied (you guessed it!) globally across your store. 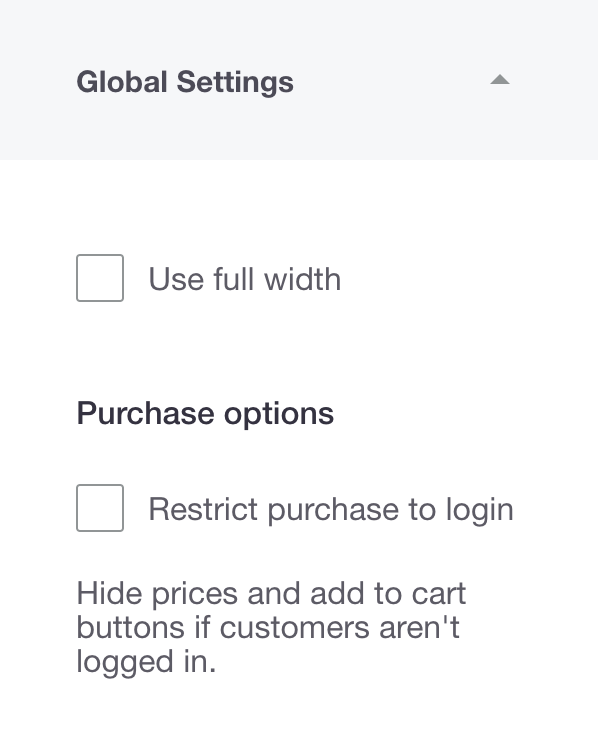 When Restrict purchase to login setting is enabled, pricing and purchasing functionality will be hidden on your storefront. Customers will have to login into a customer account order to see prices and proceed with any purchases. Below, you can see an example on the left of regular purchasing on a product page and the same page on the right when Restrict purchase to login is enabled, where the price is replaced with the text "Login for pricing" and the Add to Cart button is hidden. The Header is the rectangular area that runs across the top of your store above containing your logo, search, main navigation currency converter, account login and cart. It appears on every page and is intended to be used to promote your company's brand and to make your site easy to navigate. Specify dimensions - use this option to resize your logo to specific dimensions. Just enter the maximum width and height in the Max Width and Max Height fields, up to 480x386px. Note: On smaller browsers and mobile devices, the theme will resize the logo accordingly. Categories display - if you've chosen to display your store's categories in your navigation, use the options in this dropdown to chose whether to display them In the main navigation or In a dropdown. If you chose to display them In a dropdown, they will appear under a "Shop" link in the navigation. Show "All" links in parent links with dropdown menus - If you've used sub-categories to refine your product catalogue, enabling this setting will insert an "All" link below top level navigation link so that customers, if wanted, can easily navigation to top level category pages. You can see this in the example below. If you look at the first category, Arts & Crafts, the theme has used the main parent category as the title for the category's menu, which has been further broken down into subcategories. Enabling the "All" link, inserts the "All Arts & Crafts" link so the customer can also easily access the category as a whole. The Footer is a long rectangular area that appears on every page but runs along the bottom of the site. Footers are used to display important store information, like addresses and contact information, as well as, menus featuring links to specific categories, brands and pages. Show sitemap link in footer - the sitemap is basically an XML file the contains a list of all the URLs in your store. To customers, it looks like a page with links to all the other pages in your store. The Sitemap also helps search engines find all the pages on your site and is important for your SEO. Got more questions about the importance of your sitemap or about SEO in general? Checkout BigCommerce's list of SEO Success Essentials. Show brands in footer - enabling will turn on the display of a Brands menu in your footer. 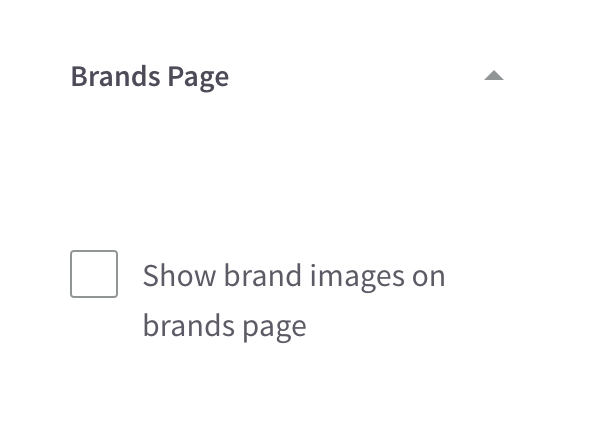 You can add a Brand to your store in you dashboard under Products > Brands. 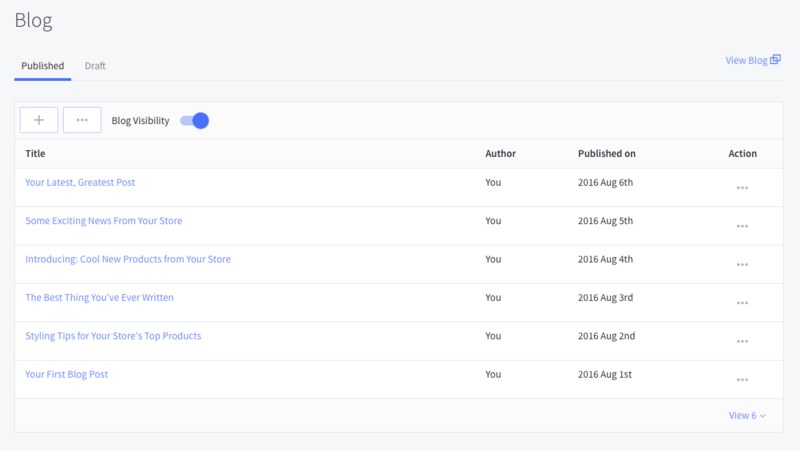 Number of categories/brands to show in footer - Since the number of categories and brands that merchants have in their stores can be quite extensive, you have two dropdown menus that allow you to cap the number of items that each menu will display: Cap at 5, Cap at 10 or Show all. If you chose to cap at 5 or 10 and there are more items to display, they will be collapsed under a "All Categories (or brands)" dropdown that, when selected, expands to reveal all items. Show store address in footer - The store information that appears in your footer is set up in your dashboard under Store Setup > Store Profile. 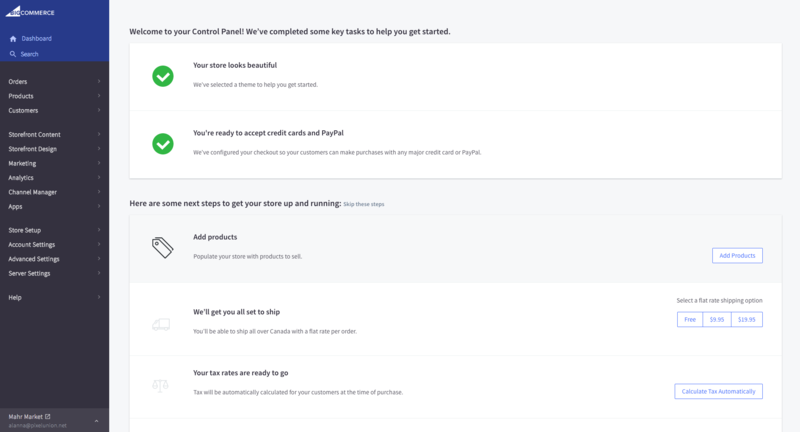 Show theme credits in footer - the theme credits consist on the text "Capacity theme by Pixel Union, powered by BigCommerce", seen in the bottom right of the footer. Show social icons as first column in footer - whenenabled, the social icons for those that you have setup in the dashboard (Store setup>Social media links) will appear in the first column of the footer. 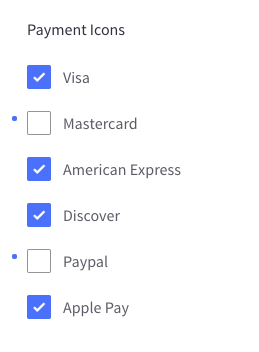 If this setting is not enabled, these icons will in the last column and your branding and store information (if enabled to show) will appear in the first column instead. 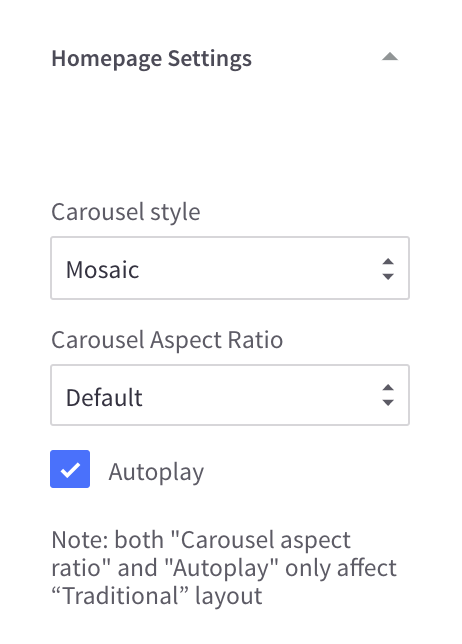 Your Carousel comes with two styles to choose from: Traditional or Mosaic. The Traditional style is likely the one you'll recognize and is what's described above- a large display of rotating images, often with some marketing text and call to action buttons. Wrapping your head around aspect ratios can be tricky. If you need a little help on the basics, check out this great guide on understanding and working with aspect ratios. The Autoplay setting allows you to turn on/off the automatic rotating of your images. If enabled, your images will automatically rotate at intervals which you can set in the BigCommerce admin under Storefront Design>Design Options>Carousel. If you chose to disabled autoplay, customers can click and manually navigation through your images. 2 slides: Any ratio, but consistent (1:1 recommended). Number of items - dropdown to chose how many items you'd like to display in this section. Here you can also chose to Disable the section altogether if you don't want to use the section at all. 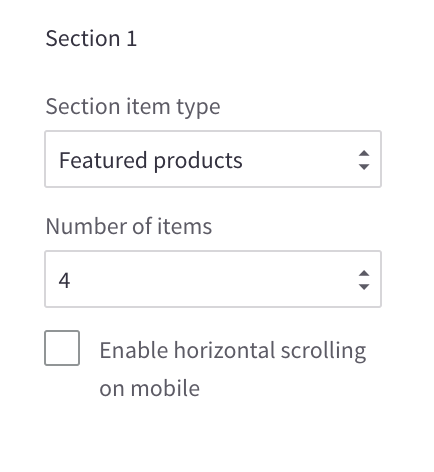 Enable horizontal scrolling - by default the items in the homepages sections will stack vertically on mobile devices. Enabling this setting mobile setting arranges the items horizontally on mobile instead. Customers will be able to flick through the sections with their thumb. This really decreases the amount of vertically scrolling customers have to do to view your homepage on mobile. 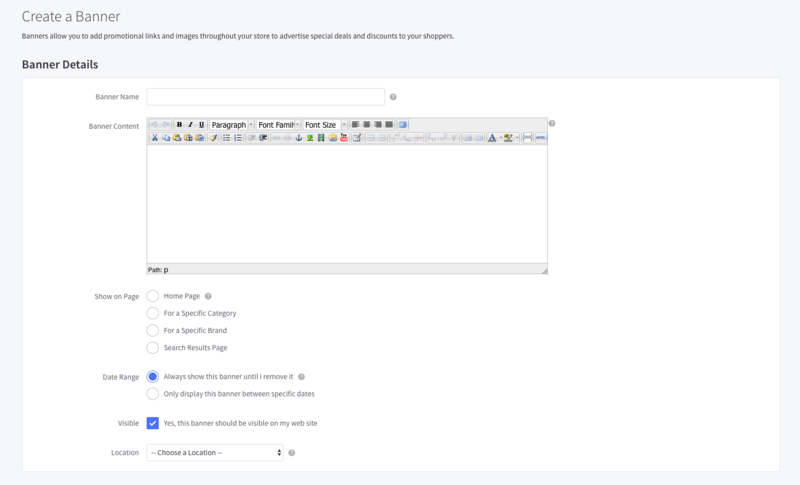 These settings will control the display of content on your Product pages. 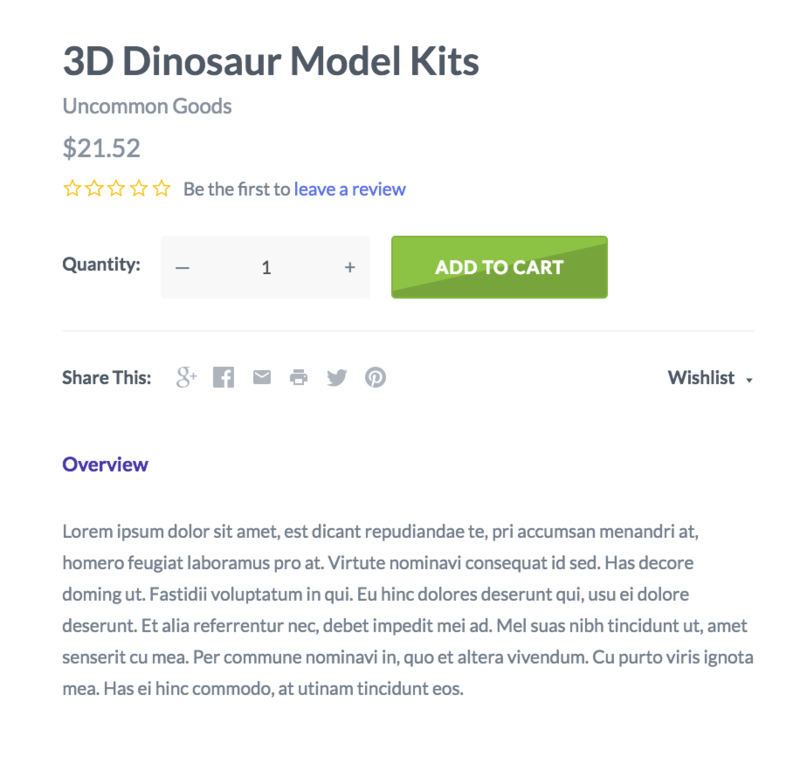 Automatically send the client to the cart page after adding a product - does just what it says! 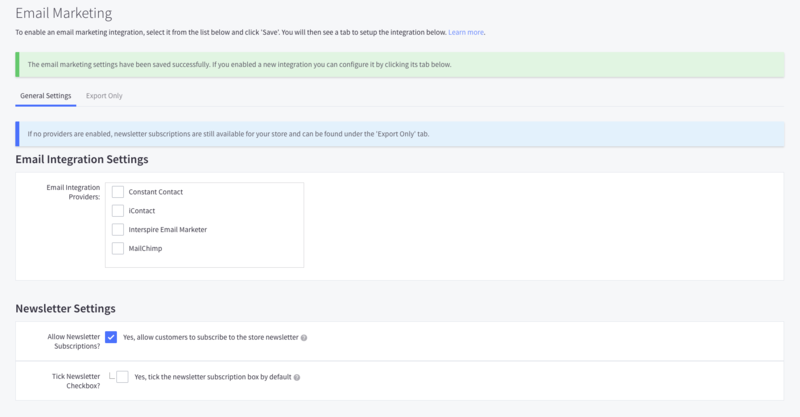 When enabled, instead of displaying a success message when a customer adds a product to their cart, when they add a product they will taken directly to the cart page to proceed with checkout. Number of related products setting relates to the carousel of products that appears at bottom of your product page and allows you to chose how many products to show. Related products are setup in your dashboard per product. Check out this BC guide for more information on setting up Related Products. The Product listings settings are applied to the pages on your site that have a product grid: Homepage sections, Category, Brand and Search Result pages. Add 'As low as' text - enable the display of 'as low as' pricing text on products. This text will display next to product with options. Show cart actions - enabled/disables in-line add to cart functionality. 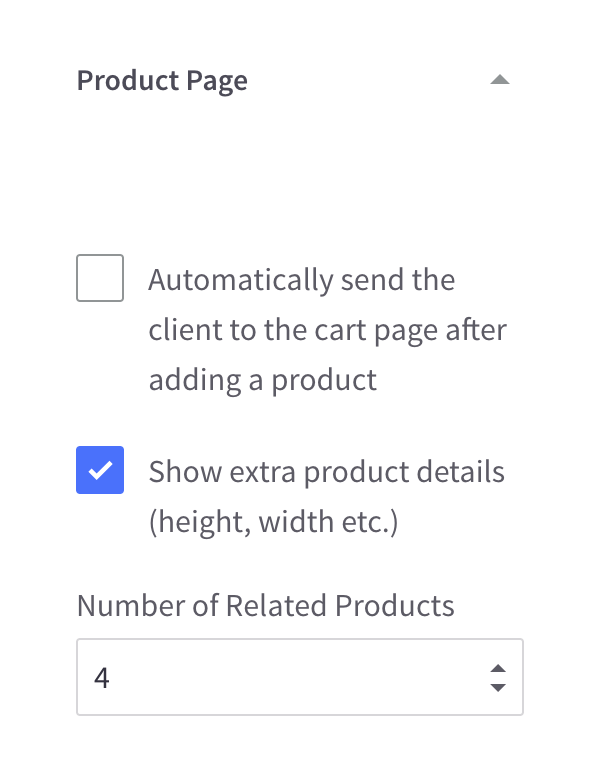 When enabled, an Add to Cart button will appear when a customer hover over a product, allowing them to add an item to their cart directly from the product grid. Post updates on products, upcoming events, and other news in your shop’s built-in blog. 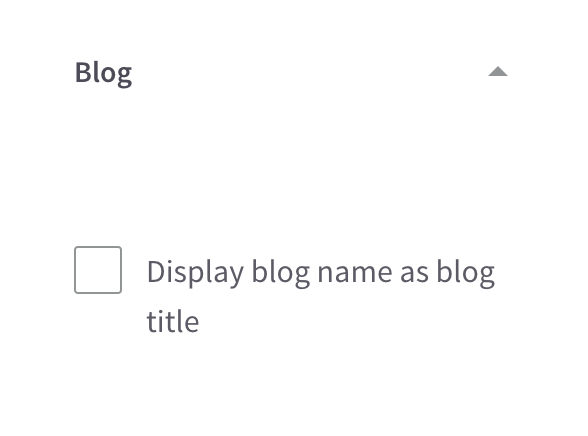 To setup a blog, navigate to the Blog settings by clicking on Content > Blog. Note that BigCommerce is unable to offer support for any theme that has been modified with Edit Theme Files. Proceed with caution. To create one, go to Content>Web Pages and click Create a Web Page at the top of your Pages list. 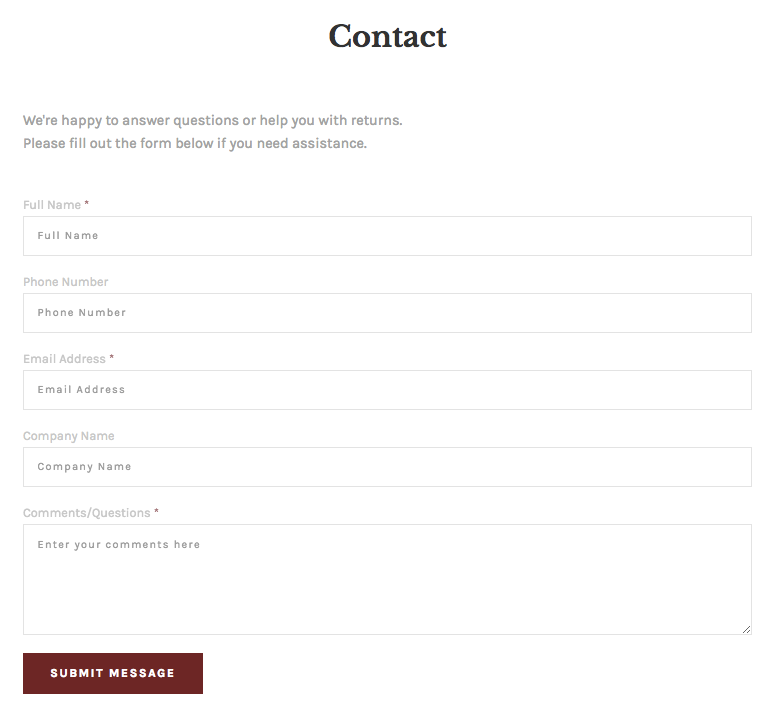 You can also insert content (such as text and images) in the Page Content area, which will appear above the Contact Form. Now your customers can get in touch to tell you how much they love your store! The categories that automatically display as links on your main navigation can be controlled in the same way. Just navigate toProducts>Product Categories and under the Visible in Menu? column, you can select or deselect products as well as reorder items. The changes will automatically be reflected in your live store. By default, a basic blog is included on the BigCommerce platform, which you can access by navigating to Storefront Content>Blog. Here, you'll see an index of all the posts — drafted and published — on your store's blog. 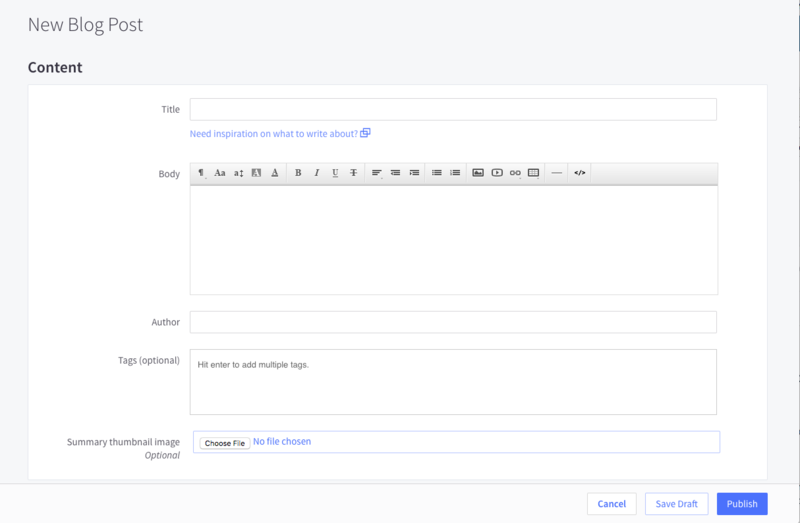 Give your post a title in the Title field, write the content in the Body field, add some images (using the toolbar icon that looks like a photo of mountains or a house or a Tetris piece), and enter the author of the blog in the Author field. You can also add tags for each post in the Tags section. To add a tag, type a tag in the Tags field, and hit Enter or the comma key to separate the tags. You can also add an optional Summary thumbnail image and set the Publication date here. In the SEO (optional) section below, you can customize each post’s URL in the Post URL field, and specify what happens If the Post URL changes. Adding a Meta description to your posts will help improve your SEO. Click Save Draft to save the post without publishing to work on it later, or click Publish to publish the post immediately. 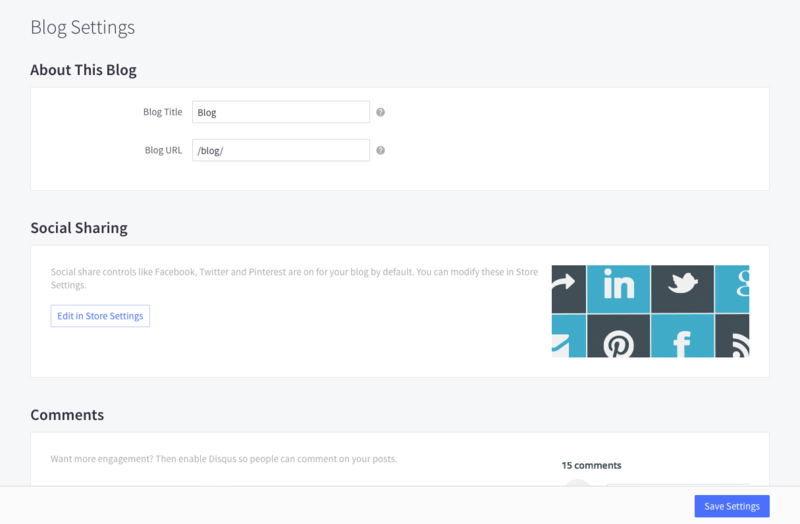 Make sure your Blog Visibility is set to On on the main blog settings. 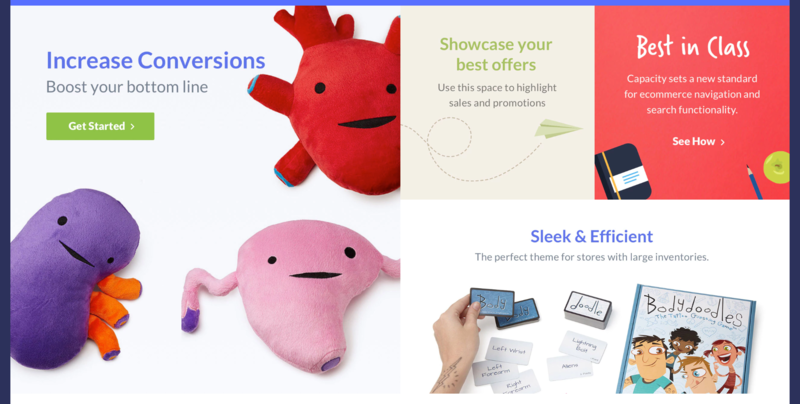 The Storefront Design section of your BigCommerce dashboard is the place to be for all of your logo, carousel, social media needs. It's also where you go if you want to change or update your theme (Storefront Design>My Themes>Customize/Upload Theme). In this section, we'll focus on the things you'll want to do to get your store up and running — and looking good. To add images to your Carousel, go to Storefront Design>Design Options and click the Carousel & Social Media tab. Once you’ve uploaded an image, you can add a Heading, Subtitle, and Button Text by typing in the corresponding fields at the top. Click Save when you're done. You can set the URL for the call to action button links by either typing the link directly into the Link field or clicking Browse to choose a Product, Category, Brand, Page, or Blog from the Store Linker. Click Insert Link and Save. To replace your store title with a logo image, go to Storefront Design>Design Options and then click the Logo tab. 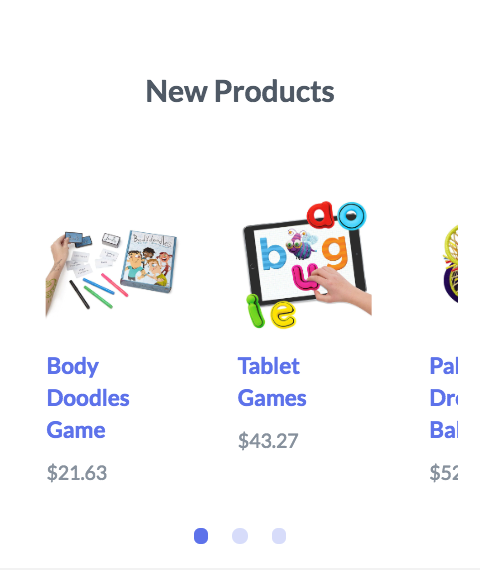 By default, BigCommerce will display your store's name as a logo. If you're okay with this, do nothing! (Just ensure that Show text where my logo will be displayed is activated.) However, if you want to display a logo, activate the Upload a logo image from my computer option. Then choose the image file you want to upload under the Logo Upload section. 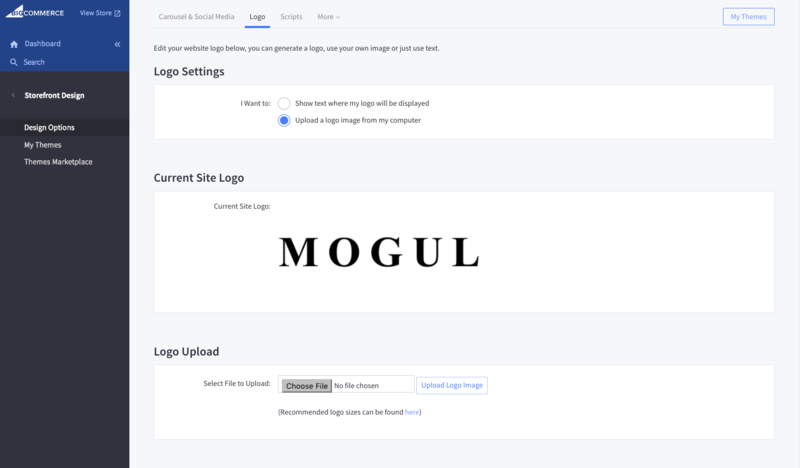 For Mogul, we recommend a logo image that's 230 x 100px or larger. Once your image is selected, click Upload Logo Image. It will display in the Current Site Logo section. 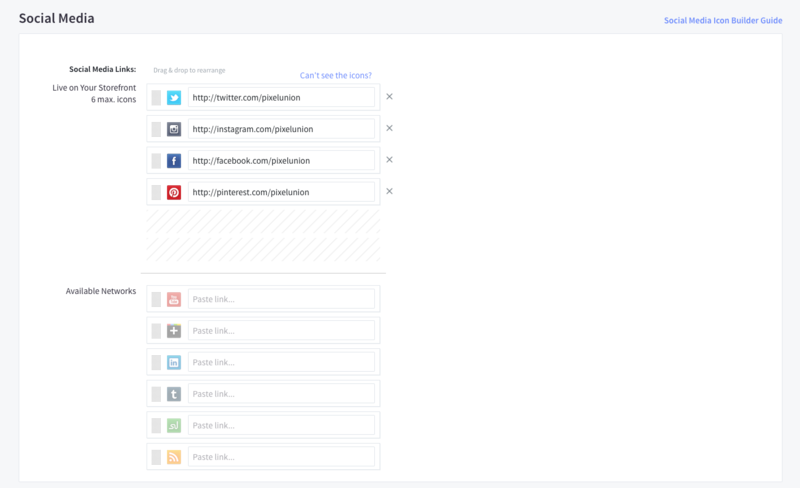 You can include links to your different social media accounts (e.g. Facebook, Pinterest, Instagram) on your storefront. With Mogu, these links are displayed as icons in your store's footer. By providing links to your social media accounts, you can encourage shoppers to follow you and share your business and products with their own friends and followers. To set up the social links on your store, navigate to Store Design>Design Options and click the Carousel & Social Media tab. Scroll down to the Social Media section, and input the your various profile links into the corresponding fields beside Available Networks. Make sure to include http:// before the link. Then go to Store Design>Design Options, then click More>Favicon. Click Choose File to select the favicon from your computer. Click Upload Favicon. To create, edit, or delete existing banners go to Marketing>Banners.